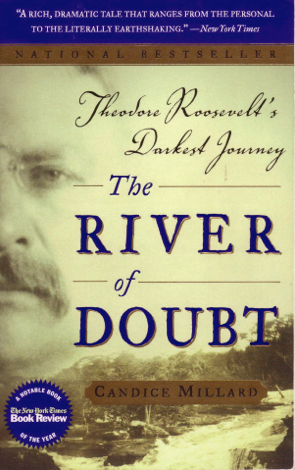 My Review: In the winter and spring of 1914, Theodore Roosevelt, after loosing a bid to become the first president elected from a third party, embarked on an ill conceived and poorly designed trip to explore unknown areas of the Brazilian Amazon rainforest. The trip, which nearly cost him his own life and did cost the lives of three of his men, was an epic of survival and endurance against overwhelming odds. Originally designed as a naturalist trip to collect specimens for the New York Museum of Natural History, the team quickly changed direction when the Brazilian Colonel Candido Mariono da Silva Rondon suggested they map the unexplored ‘River of Doubt”. Roosevelt jumped at the opportunity to step into the unknown and follow in the footsteps of the epic explorers he so much admired. Quickly trimming his entourage of porters (known as camaradas) and less able explorers, Roosevelt and Randon, now co-leaders of the expedition, headed into the unknown. 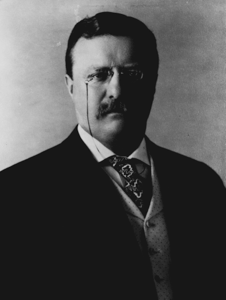 Roosevelt, too busy to attend to the initial planning of the trip, left those details to others whom he thought were knowledgeable about the requirements of such an undertaking. As a result, he did not know that the man who prepared the gear and supplies for the expedition, one Anthony Fiala, was a failed arctic explorer, with no experience in outfitting a tropical expedition. The result was disastrous. Plagued with miles of rapids, faulty or inappropriate equipment and insufficient and inappropriate food supplies, the expedition forged on down the river, unable to penetrate an impenetrable rainforest. Always on the edge of starvation, surrounded by unseen but always present hostile Indians, plagued by hoards of biting insects, infested with parasites and sick with malaria and dysentery, the group pushed on through the months of February and March until finally contacting civilization again in April. By this time, Roosevelt was near death, one man had drowned, another had been murdered and a third, the murderer, abandoned to die in the jungle. This fantastic true story, assembled into a rip-roaring yarn by the author from diaries of the participants and news accounts from the time, was an unexpectedly excellent nailbiter. I would highly recommend it to anyone who enjoys true adventure stories with a significant historical connection.